If a political fraud could provide millions of jobs, President Obama’s demagogic posturing as an advocate of taxing the rich would be the solution to the economic crisis. Since unveiling his American Jobs Act, followed shortly by a deficit-reduction plan supposedly based on taxing the wealthy, Obama has staged a series of campaign-style appearances to peddle his claim to stand for economic “fairness.” At the center of this claim is the so-called Buffett Rule, named after the Omaha billionaire, America’s second-wealthiest individual. Buffett declared in a newspaper column this month that he was paying a lower rate of taxes than his own secretary and condemned the US tax system for “coddling” the super-rich. He has long been one of Obama’s biggest contributors, as well as supporting other Democratic Party politicians. Among a handful of other billionaires, like currency speculator George Soros, Warren Buffett has expressed the concern that the growth of social inequality in the United States, and the transparent bias in tax and budgetary policy in favor of the wealthy, could spark popular discontent and prove destabilizing politically. Obama’s campaign for the “Buffett Rule” has produced paroxysms of delight on the part of the liberal and middle-class “left” supporters of the administration, including the editorial page of the New York Times, columnist Paul Krugman and the Nation magazine. A Times editorial hailed the tax policy as “sound economics” and a step towards social justice. The Nationcalled for demonstrations to encourage Obama to continue with this supposed shift to the left. The hyperventilating on both “left” and right is only part of the political charade in which the Obama campaign seeks to repackage a right-wing, pro-Wall Street administration as the second coming of Franklin Roosevelt. This is part of its effort to delude the American people once again in the 2012 presidential election with the mirage of a “progressive” Democratic Party. This “work,” of course, is the work of serving the vital interests of corporate America at home and American imperialism abroad, from the wars in Iraq, Afghanistan and Libya to the handouts to the banks and giant corporations at the expense of working people. 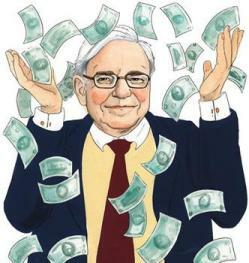 The Buffett Rule is a manifestation of Obama’s duplicity. It is not a rule. The White House has proposed no actual measure to limit tax evasion and tax write-offs by the super-rich, nor will it do so. The “rule” is nothing more than a suggestion to the bipartisan congressional committee tasked with devising at least $1.5 trillion in deficit reduction over the next two months. Even as a vague suggestion, the Buffett Rule has no chance of being implemented, as Obama knows full well. The six Republican members of the deficit “super-committee” are all committed opponents of any tax increases on the wealthy, while one of the committee Democrats, Senator Max Baucus, was the co-architect of the tax cuts for the wealthy implemented by the Bush administration in 2001. Another committee Democrat, Senator John Kerry, is the wealthiest man in the Senate. Even if it were to be implemented, the Buffett Rule would not represent the establishment of “fairness” in US taxation. It does not mean a return to the traditional policy of American liberalism in its heyday, when the tax system was used to encourage a very limited redistribution of wealth from the rich to the poor. It merely calls for putting an end to one of the many means by which the US tax system today redistributes wealth in the other direction, from the poor to the rich, by limiting certain tax write-offs enjoyed by billionaires like Buffett. How does establishing an equal rate of taxation for billionaires and secretaries constitute fairness? At the very least, a tax policy based on considerations of fairness and equality would have to address the drastic polarization in wealth and income over the past three decades. During that period, the income gap between the richest 1 percent of Americans and the poorest 40 percent more than tripled, and over the past decade, the wealthy have captured every dollar of increase in national income. Wealth polarization is even greater, with 10 percent of the American population controlling two-thirds of national wealth. While the Republicans howl about “class warfare,” the actual relationship between classes is demonstrated in the steady increase in corporate profits as a share of national income and the corresponding decline in the share of wages. The working class currently receives a smaller proportion of the value that its labor produces than at any time since the period of the Robber Barons. Federal tax policy has exacerbated this widening social gap. The tax rates on the wealthiest Americans fell from 91 percent in the 1950s and 1960s—under the Truman, Eisenhower and Kennedy administrations, hardly bastions of “socialism”—to under 50 percent under Reagan, and now currently at 35 percent. The tax rates on the highest incomes are now at the lowest levels since the early 1920s, before the 1929 Wall Street crash that discredited finance capital for two generations. The entire debate over federal tax policy between the Democrats and Republicans is conducted on false premises. It is not a matter of restoring “fairness,” as though such a state of affairs were possible in a society so pervaded by social and economic inequality. What the Socialist Equality Party proposes is a radical redistribution of wealth and income from the rich to the working people—whose labor, after all, is the source of all of society’s wealth. We propose, not a tweak in the tax code to remove a few of the most egregious handouts to the super-rich, but a radical and genuinely progressive revamping of tax rates, including a rate of at least 90 percent for all incomes over $500,000, together with a separate wealth tax. Such measures would finance a massive program to put the unemployed to work and rebuild the crumbling social infrastructure of America. No such reform, however, is possible outside of the mass mobilization of the working class against the corporate-financial elite on the basis of a socialist program. At the center of this program is the nationalization of the corporations and banks and their transformation into publicly owned enterprises under the democratic control of the working population. Economic life must be freed from the stranglehold of capitalist private ownership of the means of production and reorganized on a genuinely democratic basis to serve the common good, not private profit. This requires a break by working people from the capitalist two-party system and the building of a mass independent political movement of the working class to fight for a workers’ government.